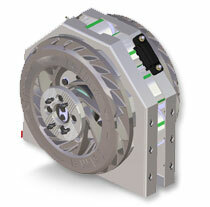 Range of Retarders - Axial - Telma S.A.
Axial retarders are designed to be interfaced with a drive shaft. Their flexibility offers numerous options for installation in a vehicle as well as for industrial applications. Do not hesitate to contact us for additional information on our lines of retarders.